I am fond of saying that any movie with Kevin Costner can't be all good, especially if he is at the helm. There are no exceptions in the latter case, but there are a good handful of films where Costner's presence adds rather than subtracts from the intended result. My basic problem with Costner is that he is vocally incapable of articulating a character. It's a question of dynamic contrast rather than intonation or accent. He reminds me of a friend who was so tone deaf that his idea of a scale was singing one note louder than the next. That said, there are some roles where Costner turns this liability to advantage: Field of Dreams, No Way Out, JFK and The Untouchables are cases in point. 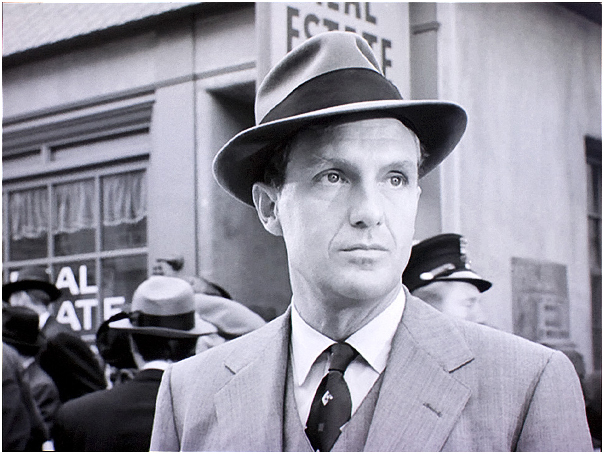 He's just about perfect as the outwardly self-effacing, but ambitious Eliot Ness. Not that he stacks up favorably against his TV counterpart, but it works. De Palma brings together some serious talent for this film, including Ennio Morricone for the musical score, David Mamet to write the screenplay, and Sean Connery and Robert Di Niro in important supporting roles. The art and set direction by Patrizia von Brandenstein and William Elliott is evocative (except for the almost default idiocy in nearly every period film out there of presenting only the cleanest antique cars on the road.) There are several tour de force set pieces - The Battleship Potemkim reenactment at the train station is legend, though my favorite is a more intimate moment where 57 year old Sean Connery gets into an alley fight with 50 year old Police Chief Richard Bradford (who looks even older). Yet I am not convinced by it all. 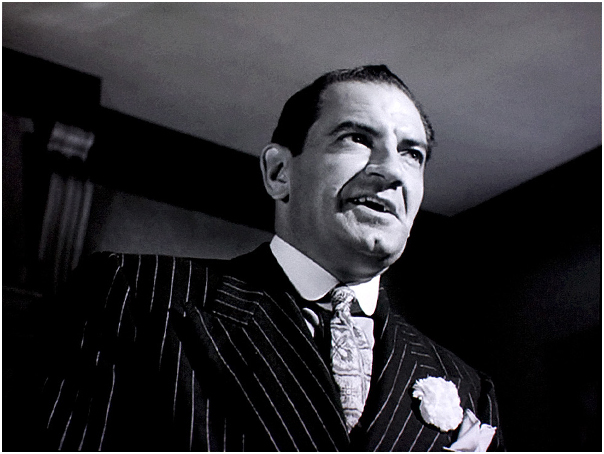 It's partly that there are only four Untouchables, which never seemed credible, to say nothing of Charles Martin Smith's instant transformation from accountant to Wild Bill Hickok (amusing though that moment is). Beyond that, the entire movie feels as staged as the set pieces. Except for Connery, everyone else seems like they're acting in different movies, most awkwardly, Di Niro. De Palma just doesn't pull them together. But, then, he isn't really helped much by the script - is this really by Mamet! – which feels dead on its feet, like a boxer who's had one too many fights, yet is still swinging his arms in search of his opponent. 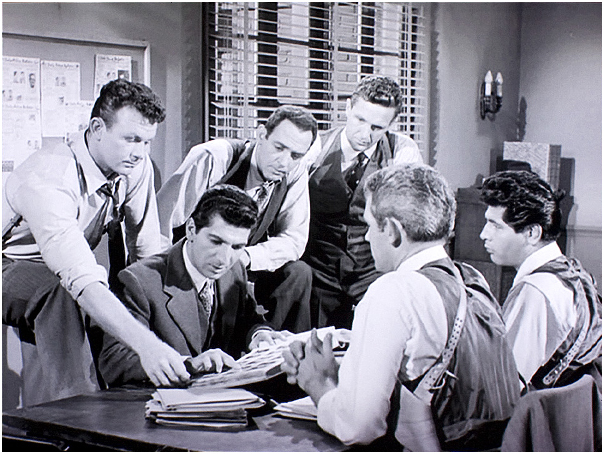 After the enormous success of the 1959-1963 TV series with Robert Stack as Eliot Ness, it seemed inevitable that a movie based on the FBI's efforts to curtail organized crime, as personified by the notorious Al Capone, would materialize. The surprise is that it took as long as it did. Brian De Palma, the man who had already given the appetizingly gruesome movies: Scarface, Body Double and Carrie, brought to the project his particular brand of shock and awe. What with a chainsaw, an oversize electric drill and a kitchen full of knives, a lethal baseball bat at a dinner party is just what we should expect – all the more so, since it is based on a real incident. As it happens, with cinematic license being what it is, Capone's home run on a dinner guest's head is one of the few incidents in the movie that doesn't play all that fast and loose with history. This is not a complaint, by the way, merely an observation. If you're interested, HERE is an interesting resource on the subject. For my money, however, I feel that the main title graphic for the TV series (see image below, along with other screen shots from the first season) is worth more than the whole movie. Clean, dense, noise-free and without distracting blemishes, though perhaps not as excruciatingly detailed as more recent movies, the picture is utterly filmlike - not merely acceptable, but completely convincing as a movie image. We are always confident about what materials are involved: from a silk vest to a felt hat, from a gun barrel to a sheet metal automobile fender, from the inexperienced smoothness of Costner's face to the wisdom of Connery's. The sound mix is clear and dynamic, appropriate for its time – after all, this is not a sci-fi/fantasy thriller. 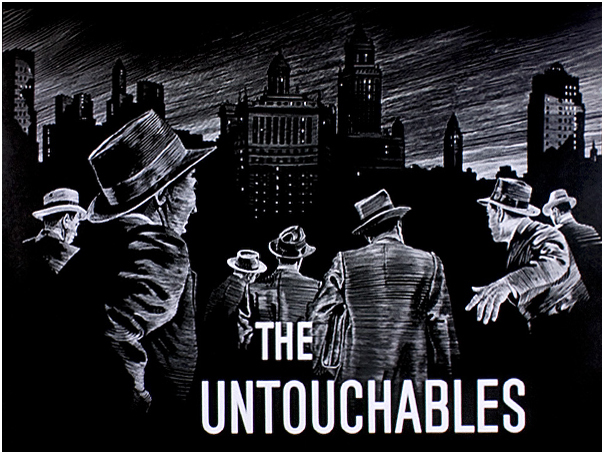 The Untouchables may not boast one of Morricone's more inspired film scores, but it serves its purpose well enough. Picture and sound add up to an involving experience limited, for me anyway, only by the direction of its actors and the script. Typical of Paramount BD discs, scene selection does not enlarge the thumbnails when clicked, though they are not all that small to start with. Extras are well organized and easily accessed. The same group of supplementary materials appear here as were included in the 2004 SD Special Edition. There is no running commentary, but in its place is a fairly thorough hour long documentary that pretty well covers the territory: interviews with cast and director, making-of and production background, plus detailed breakdown of several of the major set pieces, including the Potemkin train station shootout. The 7 point score downgraded for its lack of HD extra features. 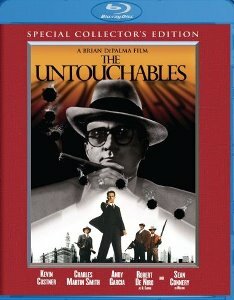 If The Untouchables worked for you on SD or in the theatre you won't be disappointed by this transfer, which, it seems, I liked even more than most reviewers.